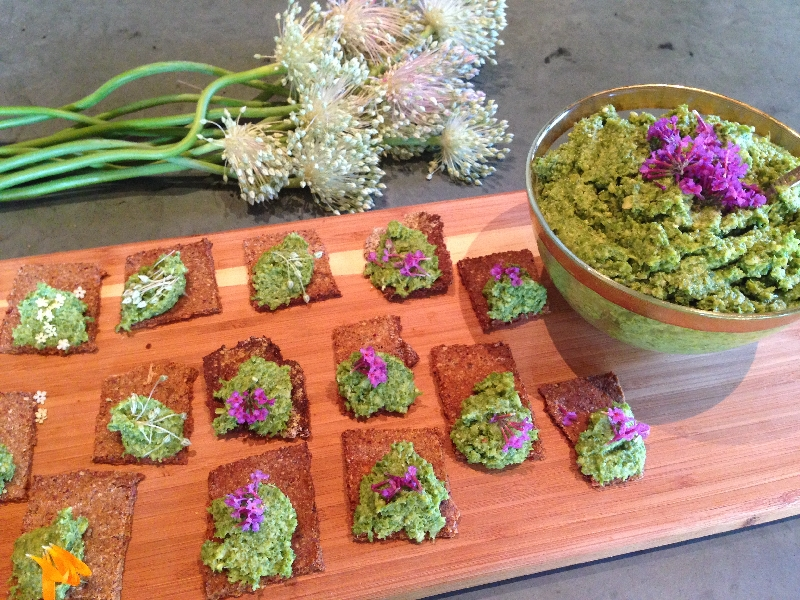 We’re appreciating native plant recipes this holiday season! The fall issue of the new CNPS magazine, Flora, features a collection of seasonal native plant recipes from Alicia Funk, founder of the Living Wild Project and co-author of Living Wild — Gardening, Cooking and Healing with Native Plants of California. 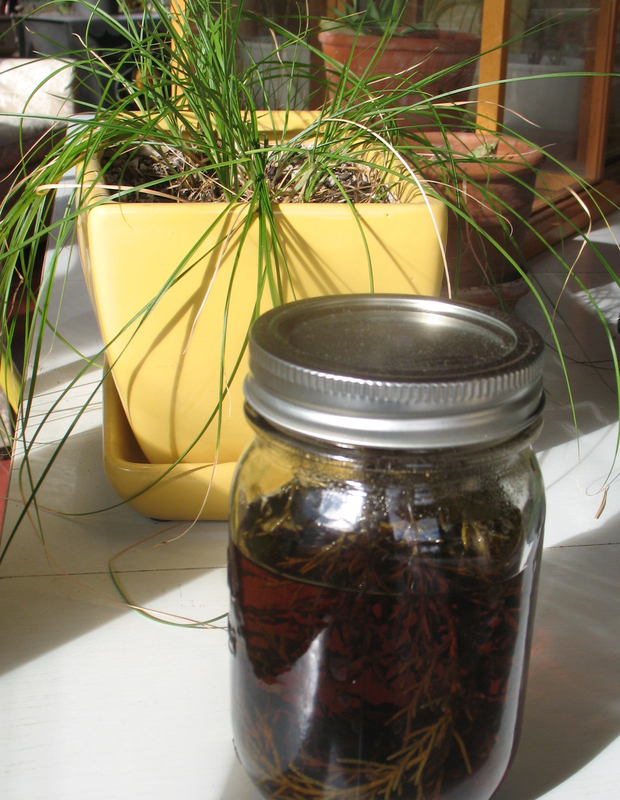 This week, we’re sharing her recipe for manzanita cider, both non-alcoholic and alcoholic! 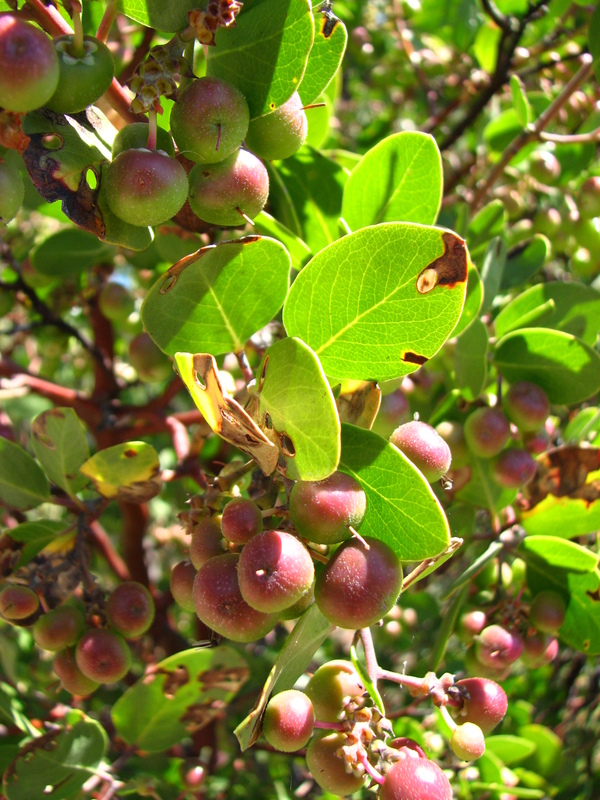 Manzanita cider is a traditional drink of California, enjoyed by indigenous inhabitants in many parts of the state. 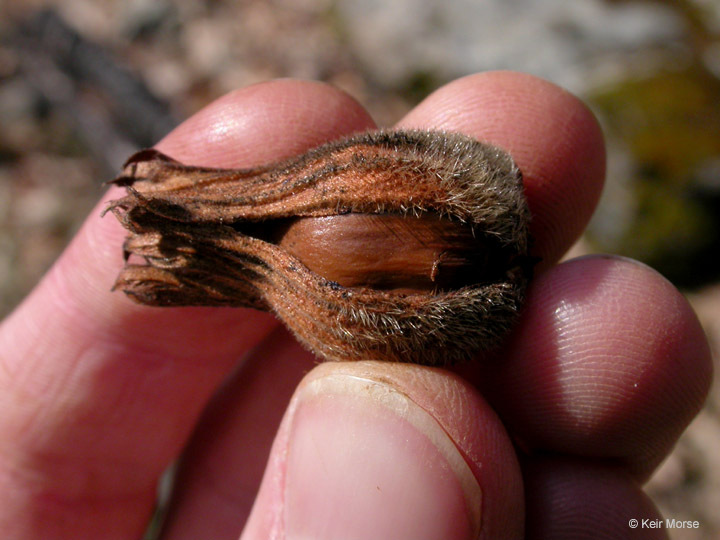 Although all species have edible berries, Alicia uses Arctostaphylos viscida, since it is abundant in the foothills of the Sierra Nevada where she lives. The cider is easy to make, high in antioxidants and naturally sweet. Fill a blender with the dry berries and grind on low-medium for about a minute. This is a modern technique to crush the berries and expose the sweet powder, without crushing up the large seeds. Cover the crushed berries with cold water and soak for several hours to overnight. Strain and enjoy cold or hot. Makes 1 gallon. Ready to drink in 2 months. Pour cider into pot, add the 2 pounds of sugar, and allow to simmer over heat until sugar dissolves. Let cider cool and use a small amount of iodine to sterilize the jug. Pour cider into sterilized gallon jug and add yeast. Seal jug with the airlock and store in a cool location, 65-75 degrees F.
Let the cider bubble for approximately a month. After the bubbling subsides, allow it to sit for another week. Siphon the cider into sanitized bottles, avoiding the yeast that has settled on the bottom of the jug. Seal bottles and allow cider to sit for another 2 weeks or more for added flavor. Alicia Funk, at The Living Wild Project, just completed a short and beautiful film called “Manzanita Madness. I watched the film and loved it. Please check it out. She also suggested this event: the Tahoe foodie community will meet at the premiere of Elevate Tahoe-Food Innovations at 6,000 feet, a film on Saturday Aug. 23 at the Community Arts Center in Truckee. Doors at 6:30 p.m., film at 7:15 p.m. The Living Wild Project is one of the organizations featured in the film. I love shortbread – crumbly and rich – it is perfect for the holidays. Now that most of you have recovered from the Thanksgiving feasts, it’s time to start on making some treats for all the upcoming parties and celebrations. This recipe is not too sweet and you can use any of several varieties from your garden. 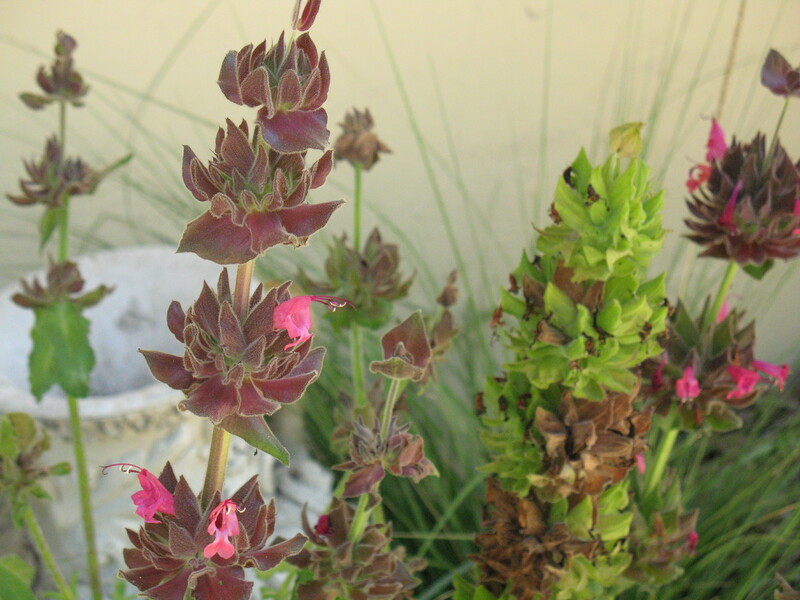 I love hummingbird sage (Salvia spathacea) for this. Pick five to seven sage leaves. All California native sages are edible for culinary purposes. Sage is not commonly considered to be a plant that people are allergic to, but be safe. Ensure you (and other consumers of this treat) are not allergic to any herbal materials before using. Wash the sage leaves under cool tap water and pat dry. Chop into small mince and hold aside. Preheat the oven to 300 – 325 degrees. I like to use a cooler temperature and cook for longer – easier to avoid burning the bottom or edges that way. In the bowl of an electric mixer fitted with a paddle attachment, beat the butter and the two sugars until they are nicely combined. Add the vanilla. Sift together the flour and salt, then add them to the butter-and-sugar mixture. Add chopped sage. Stir in by hand, at first. Once the mixture is lightly combined, mix on low speed until the dough starts to stick to itself in a ball. Scrape out the dough onto your work surface which has been dusted with flour. Shape the dough with your hands into a thick, flat disk. Wrap or store in a container and chill for 30 minutes. Bring the dough out of the refrigerator and, before it starts to warm up, roll the dough 1/2-inch thick and cut into 3 by 1-inch finger-shaped rectangles. Place the cookies on an un-greased baking sheet and sprinkle with sugar. Bake for 20 to 25 minutes, until the edges begin to brown. Watch carefully to avoid burning, especially if you use the higher temperature. Pull the sheet from the oven and place on a cooling rack. Allow to come to room temperature. Serve warm from the oven, room-temperature or chilled, whatever is your preference. Alternatively, you can press the dough into a round pie tin, score the dough with a knife and then break into pie-shaped wedges once they return to room temperature.